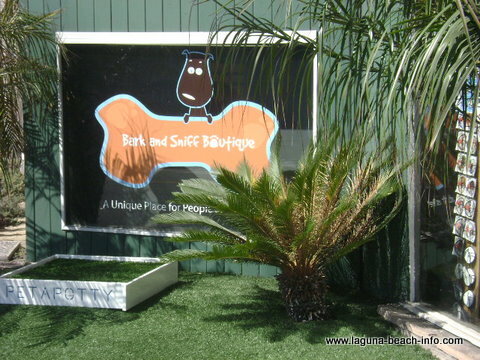 Your fluffy friend will love you when you shop for you canine needs at the Bark and Sniff in Laguna Beach, California! 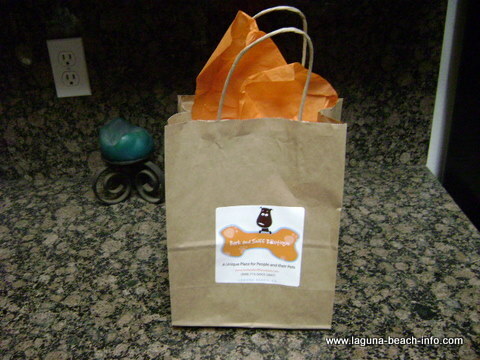 The Bark and Sniff Boutique is a great pet store to find some fabulous items for your pup! From pet fashions to hand baked treats and unique toys to potty pads you’ll find everything you need here. This store offers tons of fun products. If you’d like to commission artwork of your pooch, there are several options here! As you glance around the walls, you’ll find custom painted portraits of pups and unique photography images. Gina (the owner) has found some great artists to capture unique characteristics of your furry family member. Feel free to bring your pooch along as you browse the store. Sophie (Gina’s German shepherd) often spends days at the shop and would love to meet and greet you and your pups! While we were there, Michelle found some great treats packaged in a wine bottle for her pomeranian. I was completely surprised when Gina wrapped and packed them into a bag with tissue paper- and made them look like we were bringing frilly gifts! If you're a little crazy about your dog- come check out the Bark and Sniff Boutique! There's a small parking lot immediately behind the pet store. If that's full, there is metered parking in front of Bark and Sniff Boutique on Coast Highway and the adjacent side streets. 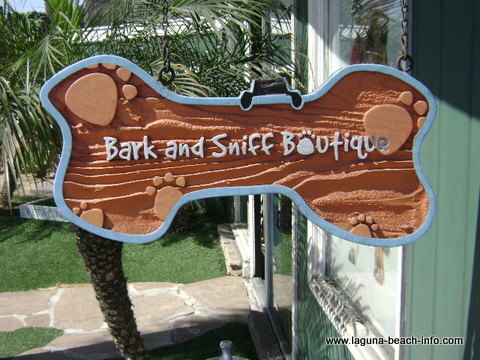 Bark and Sniff Boutique: is located on Coast Highway between Cress and Mountain.